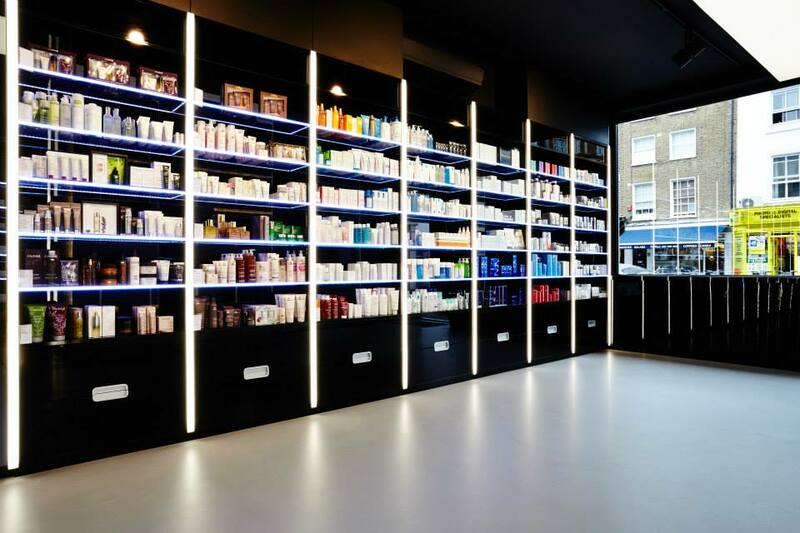 This week I was invited to Omniya MediClinic and boutique pharmacy in the heart of Knightsbridge to experience their new Repair, Restore and Replenish treatment using the SkinCeuticals range of products. On arrival at Omniya it was like being a kid walking into a candy store of beauty products but not the usual brands that you find in department store beauty halls. Omniya specialises in dermatologist brands that are very powerful and deliver real results. I had to restrain myself from not starting to shop there and then before my consultation! In the treatment area I completed a form about any existing medical conditions, my current skincare routine and what results I was looking for from my treatment. You should be asked to fill in something similar prior to receiving treatment in any reputable salon or spa. I then met with aesthetic therapist Debbie Costello. She leads the beauty team at Omniya. The Repair, Restore and Replenish treatment was created by Debbie and the results come from the mix of carefully-selected products, LED Phototherapy and her very skilled hands. A couple of the products Debbie used on me were from another range as she explained she believed these were better for me. After reviewing my completed form Debbie explained what the treatment involved and we got started. My facial started with a double cleanse together with a gentle steam over my face. This was followed by exfoliation using Zo Skin Health Offects Exfoliating Polish. I have to confess that I’m not a big fan of granular exfoliators so this is often a step I miss at home. However I do use exfoliators such as AHA pads or liquids. The scrub was then removed with warm face cloths and some light extraction performed mainly around the nose and chin area. Then the exciting stuff started! Debbie brushed on a 20% glycolic facial peel to my face and neck and left for a few minutes. This was then removed. The new SkinCeuticals AOX Lip complex and AOX Eye Gel were applied. Debbie then chose the SkinCeuticals CE Ferulic to massage into my skin. Next a layer of SkinCeuticals Vitamin C Firming Masque was applied. Whilst this was working Debbie gave me a very relaxing neck and shoulder massage. Debbie uses Dermalux red light therapy which helps to boost the effects of the products as well as healing and rejuvenating the skin. The light canopy fully covers your face area and Debbie made sure I was totally comfortable with this process once it started. I was more than comfortable – I could’ve stayed there all day – there was no heat but I could sense the bright glow through my closed eyes. I felt like I was basking on holiday somewhere glorious! Once my 20 minutes under the red light were over the masque was removed using SkinCeuticals Gentle Cleanser and warm face cloths. Finally a hydrating serum and AOX Lip Complex was applied and Debbie finished my facial by applying Zo Skin Health Oclipse Smart Tone Broad Spectrum SPF 50 to protect my newly-revealed skin. Before I even looked in the mirror I could feel the difference in my skin. It felt weightless and so smooth to touch and on looking in the mirror there was no redness just fresh glowing skin. I absolutely adored my treatment and so did my skin but being such a skincare geek I equally enjoyed chatting to Debbie about products and what I should use. My main concern is texture and tone of my skin. I explained that since using my current combination of a copper serum and a hyaluronic serum from the NIOD range by Deciem I was no longer using moisturiser. She celebrated this and explained that my skin was now performing how it should and not being stifled by heavy creams. Her main recommendation was to introduce Zo Skin Health Ossential Advanced Radical Night Repair into my routine. This is a 1% retinol treatment which is the highest concentration that can be bought over the counter. This will help with the texture of my skin including pore size and any skin marks. It will also help to stimulate collagen to improve the elasticity of my skin. Debbie recommended that I start using this three nights a week and of course follow as always with a high SPF daily. I purchased the Advanced Radical Night Repair and having used it twice I am experiencing a very light peeling of my skin so I know that it’s working. At £105 this is certainly a considered purchase but it is a 60ml size so will last a while. If it gives me a better looking and feeling skin without any invasive intervention then it’s worth every penny in my book. The Omniya Repair, Restore and Replenish Treatment with SkinCeuticals costs £250 and launches in September 2015. I was not charged for my treatment. #Repost @touchinsol_ldn ・・・ Find out via our Director of Education @nikkitmb about the @touchinsol_ldn METALLIST Liquid Foil and Glitter Shadow Duos then head to the link in bio, get your hands on EVERY shade in our Easter price drop and start to live your best METALLIST life. Today’s face. Eye - Metallist Sparkling Foiled Pigment in shade Persian Rose available soon. Lip - Pretty Filter Chiffon Velvet Lip Tint in Pink Berry available now. #Repost @touchinsol_ldn ・・・ ...and if you’re really crazy about No POREblem then take it every where with you in its new 20ml tube. The NEW @touchinsol_ldn No POREblem Primer Travel; May 2019 | RRP: £11. Copyright © 2019 Taylor Made Beauty Ltd. All rights reserved.